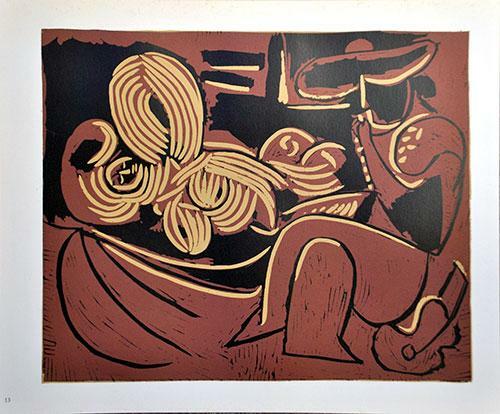 HIGHLY COLLECTIBLE LIMITED EDITION VINTAGE COLOR LINOCUT BY PABLO PICASSO CIRCA 1962. 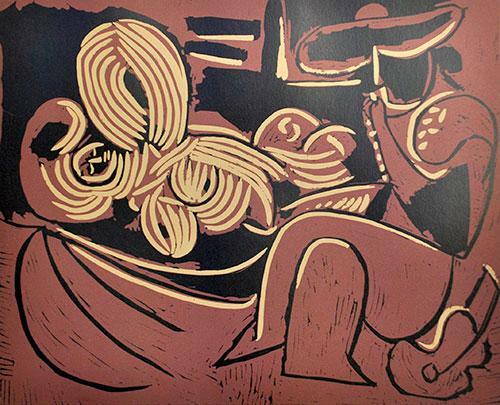 FROM THE RARE 'PABLO PICASSO LINOGRAVURES' SUITE PUBLISHED BY 'EDITIONS CERCLE D'ART, PARIS, FRANCE. THIS ARTWORK COMES UNFRAMED.